Shaped like a 4 legged octopus, this large island has many miles of coastline and thickly forested interior. Small offshore islands offer an incredible variety of diving options. The volcanic landscape gives way to traditional villages and terraced rice fields. Sulawesi has a strong history of hipbuilding and it is here that many of the romantic wooden schooners used as diving liveaboards are built. High in the mountains are the Toraja people, who build their houses with dramatic saddleback roofs and have complex funerary rituals culminating in cliffside tombs guarded by wooden effigies. The tiny nocturnal tarsier dwells in the rainforests of the north and can often be spotted at Tangkoko Reserve, along with black macaques, cuscus and exotic birds such as the maleo. 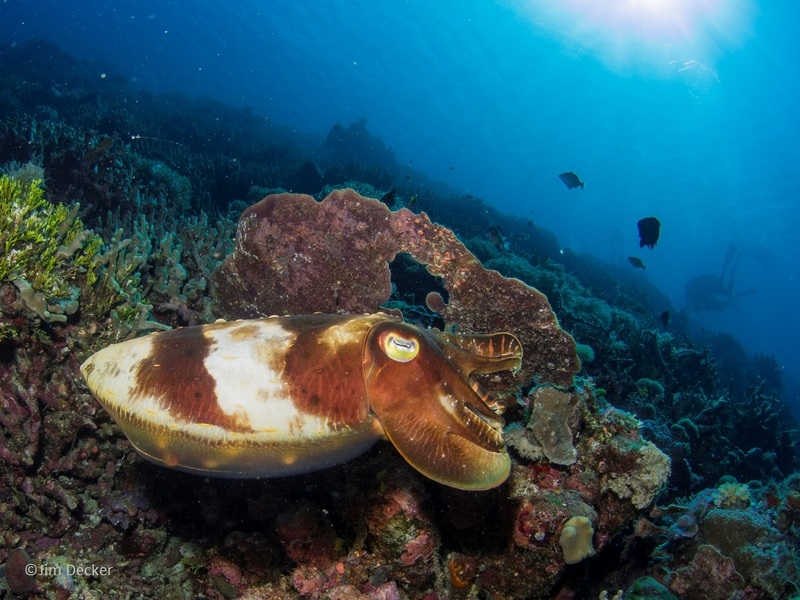 The birthplace of muck diving, Sulawesi has many sites that will make you marvel at the unusual and odd-shaped creatures that make their homes on the sandy bottom. From ambon scorpion fish to zebra crabs, you will find the critters here. You will also find extensive reef systems with throngs of fish sweeping over them. Drift by the kaleidoscope of corals and sponges, stopping occasionally to examine a nudibranch or crocodile fish close up. Explore the enormous pristine walls and fields of untouched hard corals. Search for well camouflaged frog fish or strikingly obvious bumphead parrot fish.